Cadets from Taiwan pose with a banner in front of UNG's Price Memorial Hall. From trying new food to learning about American culture, a group of cadets from Taiwan had a chance to shadow their American counterparts during a recent visit to the University of North Georgia (UNG). Chia Chun Han, a cadet from Fu Hsing Kang College in Taipei, said the visit to UNG gave the group a chance to learn more about civilian student culture in the United States. "I came here to visit the military colleges and universities in the U.S. because I wanted to broaden my horizons about what the foreign cadets do on their campus and what the difference is between Taiwanese and international students," he said. "And there are a lot of civilian students here at North Georgia, so we can see what civilian students do as well." The Taiwanese cadets visited the United States to tour the nation's six senior military colleges: UNG, the Citadel, Norwich University, Texas A&M, Virginia Military Institute and Virginia Tech. The Taiwanese cadets shadowed UNG cadets on the Dahlonega Campus during their visit and a faculty member also toured the campus. Chen Feng, who goes by the American name "Bill," said he enjoyed his first trip to the United States. "Eastern culture is different from Western culture, so I wanted to come to the school and to America to see how it is different from our school," he said. "I like America, people are really nice and the scenery is beautiful." One of the female cadets visiting from Taiwan, who goes by the American name Katrina, said she was excited about getting more experience traveling abroad and learning about foreign cadets. "Since we are cadets from Taiwan, we wanted to learn from you," Katrina Chang said, adding that she joined the military to have a guaranteed job when she graduates. "I've enjoyed all the different places we've visited and the different cultures. The food here is kind of fatty, but it is delicious!" Dr. John Wilson, acting director of UNG's Center for Global Engagement, said the group had a great experience during the visit. "They had many positive remarks about our university, the Corps of Cadets and all the friendly and helpful people they met," Wilson said. "I appreciate everyone's time and efforts in showing great hospitality to the visiting cadets and supporting the university's international programs." The group is the second from Taiwan to visit UNG this year. Two administrators from the Republic of China Military Academy (ROCMA) visited UNG in August to develop a proposed exchange between the two schools that could begin in 2014. About 10 cadets from the academy, located in Kaohsiung, Taiwan, also visited the university. During the visit, a draft exchange agreement concluded with plans to begin student exchanges in 2014 between UNG and ROCMA, one of many partnerships UNG is forging with universities and colleges around the world. Every year, more than 200 UNG students study abroad, taking advantage of the university's strategic vision to help students become globally competent citizens. In addition, some 185 international students are attending UNG this semester, representing 39 countries and every continent except Antarctica. 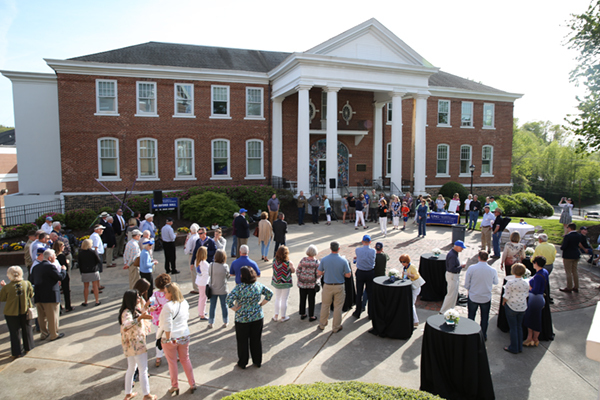 UNG offers 10 world languages and in 2011 was designated an ROTC flagship university to instruct cadets in Chinese. 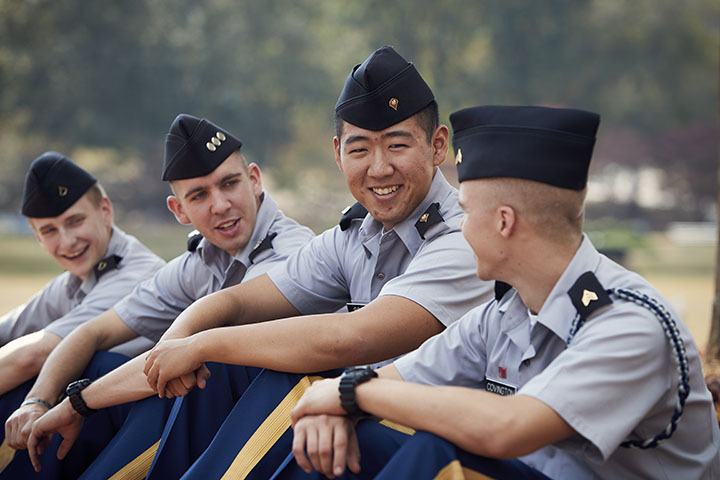 Other international initiatives at UNG include the Cadet English Language Training Team (CELTT), which includes 1,300 cadets from around the country; the Federal Service Language Academy, which offers intensive language instruction to high school students; and bachelor's and master's degree programs in international affairs.